The first exvavations on the site were carried out between 1929 and 1940 by P. Aristophron, at his own expense. Work was resumed in 1955 by Ph. 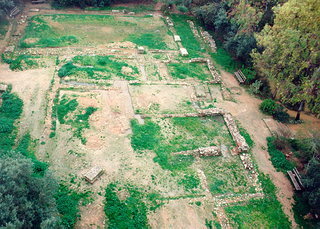 Stavropoulos under the auspices of the Athens Archaeological Society, and lasted until 1963. Since then, excavations have been conducted by the 3rd Ephorate of Antiquities.